Play Crossword Cash at Vegas Spins today and win up to a jackpot of 150,000 coins by forming ten words on the grid! Pocket instant wins on the spot. There’s a new addition of instant games at Vegas Spins, and that is Crossword Cash! Embark on a wordy journey on this game that can easily be played. 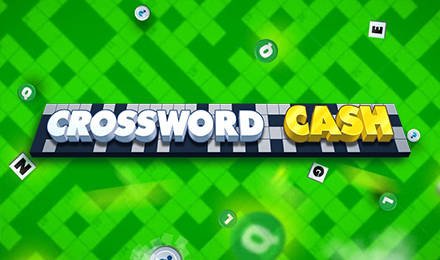 Your aim on Crossword Cash is to simply match letters on the crossword grid and form them into new words. Keep an eye on the right-hand side of the screen and you’ll find the different amount of prizes you can win and your total wins. The highest you can win is 150,000 coins for putting up ten words.